Golden Whip Stream is located in Zhangjiajie Forest Park. 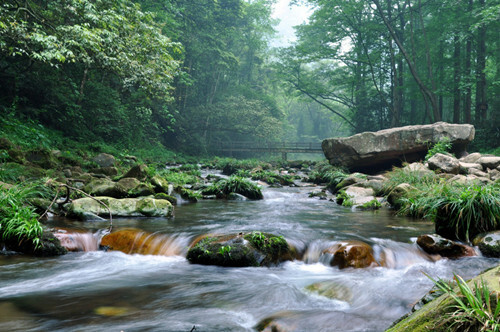 With a length of 7.5 kilometers, It is famous for its pristine water, verdant mountains, steep cliffs and serene valley.Golden Whip Stream is located in Zhangjiajie Forest Park. Enter the scenic area from Zhangjiajie Forest Park Ticket Office and then walk forward about 300m from the entrance of Zhangjiajie National Forest Park. You will see the Golden Whip Stream.